With the Kansas City Royals coming from behind against the New York Mets in Game 5 on Sunday night at Citi Field to win their first World Series since 1985, Major League Baseball free agency officially began Monday at 6 a.m. PT. For the Los Angeles Dodgers, the group of free agents is comprised of Brett Anderson, Howie Kendrick and Jimmy Rollins. 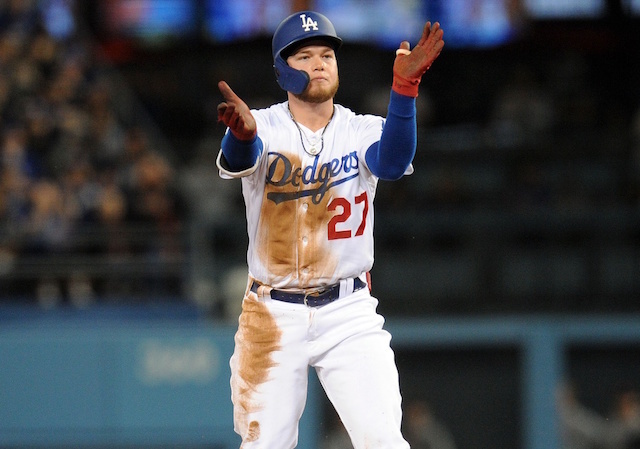 The number could grow, as the Dodgers have a slew of players with options on their respective contracts. Coming off another injury-shortened season, Brett Anderson signed a one-year, $10 million contract with the Dodgers last winter; $5 million of which was a signing bonus. 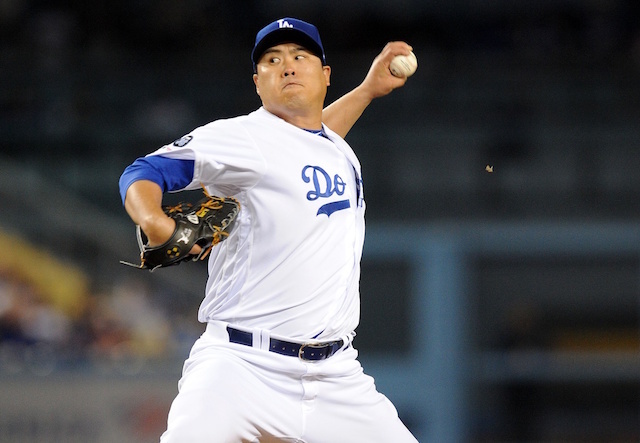 The 27 year old set new career highs with with 180.1 innings pitched and 31 starts in 2015, proving to be an integral part of the starting rotation that lost Brandon McCarthy and Hyun-Jin Ryu to season-ending surgeries. Anderson also earned an additional $2.4 million by way of incentives. He finished 10-9 with a 3.69 ERA. It’s believed the Dodgers will extend Anderson the one-year, $15.8 million qualifying offer. As for Kendrick, he was acquired soon after the Dodgers packaged Dee Gordon to the Miami Marlins. A hamstring strain limited Kendrick during the second half of the season, though he otherwise had a successful campaign with Los Angeles. Kendrick appeared in 117 games, batting .295/.336/.409 with nine home runs, 22 doubles, 54 RBIs and a 109 wRC+. Like Anderson, it’s believed Kendrick will receive the qualifying offer. Should Anderson and/or Kendrick receive and reject the qualifying offer, and sign elsewhere, the Dodgers would receive a compensatory pick for the 2016 draft. 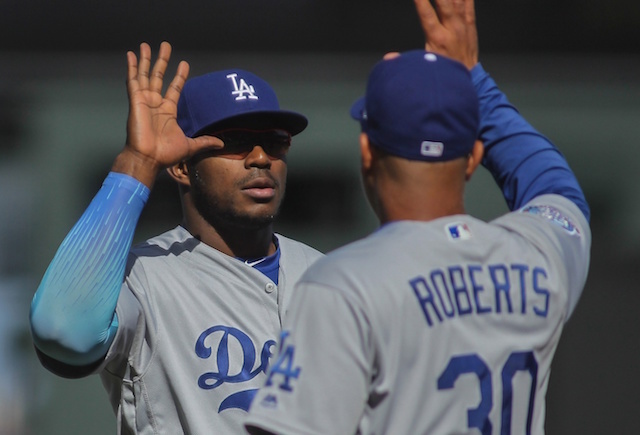 Rollins arrived in Los Angeles with veteran experience, a championship pedigree, and expectations to serve as a bridge to Corey Seager. 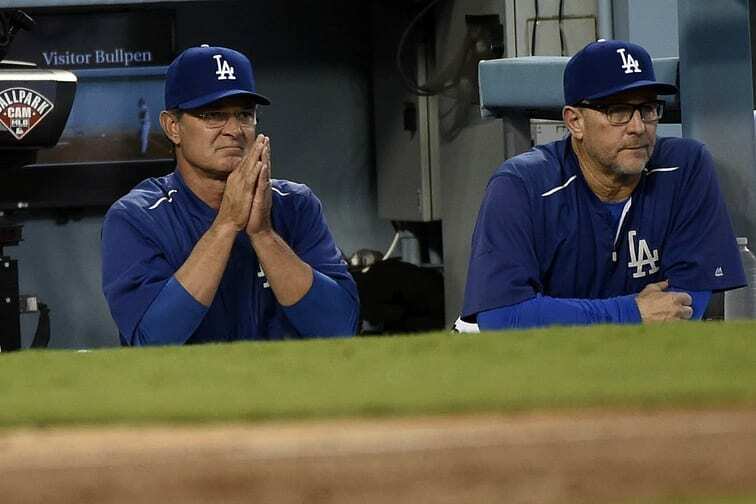 Rollins reached the end of the road earlier than anticipated, with Seager taking over at shortstop by September with the 36 year old suffering a sprained right index finger. 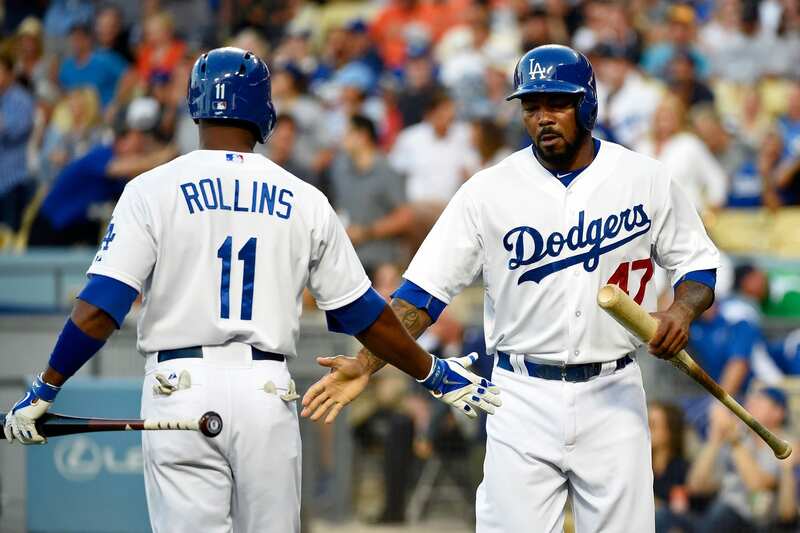 Appearing in 144 games, Rollins hit .224/.285/.358 with 13 home runs and 24 doubles. He managed to overcome a slow first half of the season before ultimately being supplanted. Free agents are not permitted to sign with new teams until after 8:59 p.m. PT on Friday. Zack Greinke has until Wednesday to decide if he will opt out of the three years and $71 million remaining on his current contract.